Jennifer’s women’s boutique raised $570 to support Human Trafficking Awareness Partnerships (HTAP). The June 21 event included a preview of famed Florida artist Myra Roberts’ “Spokeswoman” that will be auctioned to benefit HTAP. Jennifer’s sold signed and numbered prints of Spokeswoman and raffle tickets for a variety of prizes. 100% of the sales were donated to HTAP. In addition a percentage of Jennifer’s sales on June 21 were donated to HTAP. 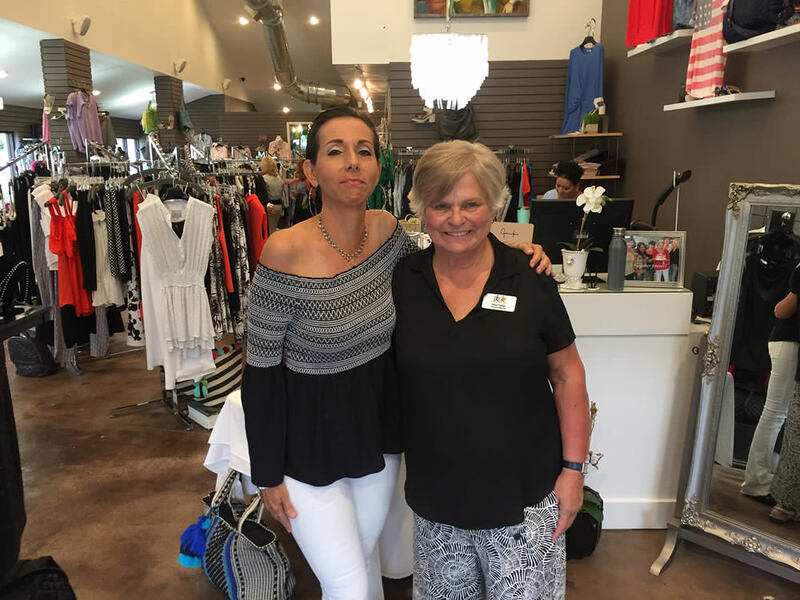 Jennifer Williams opened her Fort Myers boutique in November of 1983. Her unique and timeless sense of style and personalized service has created a loyal following. Jennifer’s is located in Fort Myers at 13251 McGregor Boulevard Suite 111-1 in the Design Center, between First Watch and The Melting Pot and is open from 10:00 a.m. until 5:00 p.m. Monday through Saturday. Call (239) 481-8582 or visit Jennifer’s online at jennifersfortmyers.com or on Facebook and Instagram.